As part of its months-long campaign to win back customers after devastating food-borne illness incidents, Chipotle recently began handing out more free burritos via its first-ever rewards program, Chiptopia. Now, the embattled burrito chain is doubling down on the budding program -- kind of like how you double down on guac -- by giving away free burritos for a whole year. If you join Chiptopia before August 15th, you'll be automatically entered to win one of the three grand prizes of free burritos for a year. Specifically, three lucky (and perhaps courageous) winners will receive 52 "Free Burrito Cards," each loaded with a value of up to $10, according to the sweepstakes' fine print. 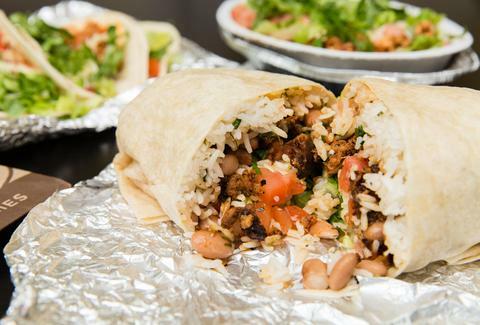 Additionally, Chipotle is also handing out 30 runner-up prizes, which consist of a "Burritos for 10" card loaded with up to $100, or approximately 10 free burritos. Yes, please. You can enter by registering for Chiptopia at Chipotle's sweepstakes page... and praying to the guacamole gods that you'll win. If you're already a Chiptopia member, you can also enter by visiting the sweepstakes site and signing in with your account credentials. Again, the deadline is August 15th. As always, don't forget to share if you end up winning. Good luck. Tony Merevick is Cities News Editor at Thrillist and actually ate Chipotle for lunch today. Send news tips to news@thrillist.com and follow him on Twitter @tonymerevick.